Eating fresh raspberries won't cause a miscarriage. A tea made from the leaves of raspberries may have labor-inducing effects and should be avoided in your first trimester. 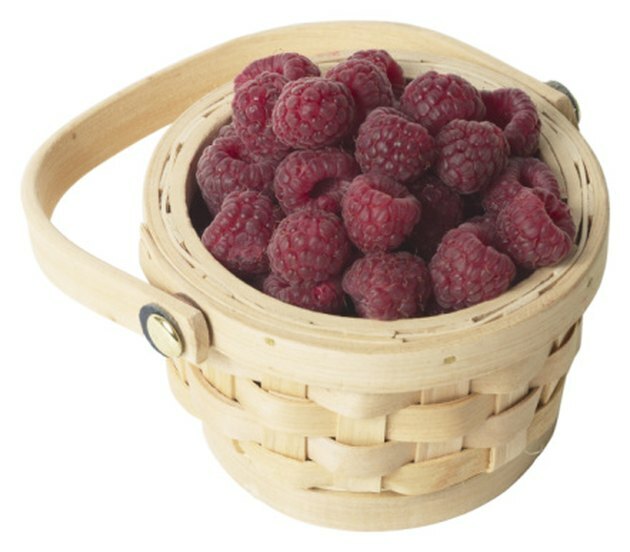 Ask your doctor about the foods and herbs that are safe to consume during pregnancy, including raspberries. Rather than raspberries themselves, it's raspberry leaf tea that is said to help induce labor and could contribute to miscarriage in early pregnancy. However, pregnancy can sometimes cause unexpected reactions to foods, so consult your doctor if you experience anything unusual after eating raspberries. Raspberry leaf may stimulate the uterus when taken in large amounts, which is why it carries a miscarriage risk. If you're full-term, you may actually be encouraged to drink raspberry leaf tea, as some midwives believe it can help induce labor and aid delivery. However, its effectiveness isn't proven, so ask your physician before drinking the tea for this purpose later in your pregnancy. Raspberry leaf isn't the only herb with uterine-stimulating qualities. Other teas that may fall into this category include anise, chamomile, comfrey, ephedra, hibiscus, horehound, Labrador, licorice root, mugwort, pennyroyal, sassafras, stinging nettle leaf, vetiver and yarrow. Herbs such as lemongrass, rosemary and sage carry the same warning, but you can still eat foods that contain these herbs -- just avoid making teas out of them, as the brewing process intensifies them. If you wish to avoid raspberry leaf tea during pregnancy, there are several safe alternatives. Most caffeine-free herbal teas that don't contain a uterine-stimulating ingredient should be safe. Consider peppermint or ginger root tea, which can help relieve morning sickness or other types of nausea. Many herbs have not been studied in relation to pregnant women, so always ask your doctor for the best advice regarding your pregnancy. Can Pregnant Women Drink Protein Shakes? Are Boiled Fresh Ginger Roots Healthy to Drink?